– little disclaimer: Really hope nobody sees this as bragging or any of the sort! I’d never want to come off as snobby or anything like that. I’m really nice! The shock of the last couple of days is starting to wear off haha. And also, I wasn’t bunking off college or anything on Monday I have no lessons on Monday! SO THE LAST COUPLE OF DAYS HAVE BEEN A BLUR. Part 2 is coming tomorrow! 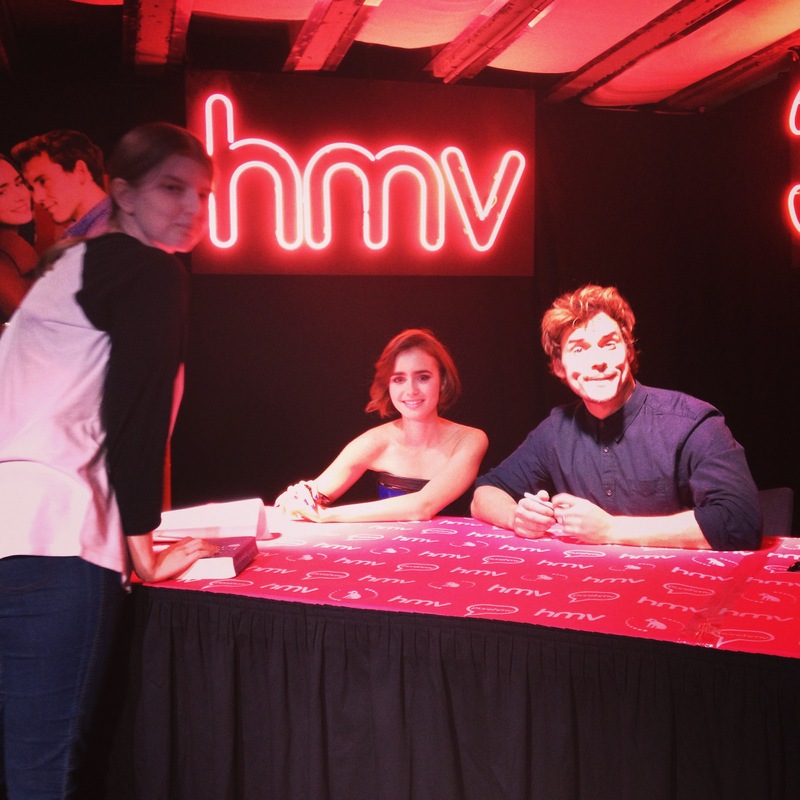 So before I attended YALW day 2 on Sunday, my friend Sam invited me to a signing at HMV for the film Love, Rosie where Lily Collins and Sam Claflin were signing copies of the book. That was enough to make me nervous, right. Then the HMV guy made an announcement before they came out saying the ground rules like one thing per person to get signed and things. Then if we got our cameras ready he’ll take pictures of us with them. LIKE I WASN’T NERVOUS ENOUGH ALREADY. They signed my own copy of Where Rainbows End – Cecelia Ahern! And then I blurted to Sam that he was fab in The Riot Club as I was leaving! Nice one. They were so lovely to me and to everyone there and I felt like I was on a cloud for the rest of the day! Then I freaked out outside and dashed for the tube to Waterloo for YALW day 2! Then came Monday. LET ME TELL YOU ABOUT MONDAY. Monday was cray. That’s why there was no post, it was bloody crazy. 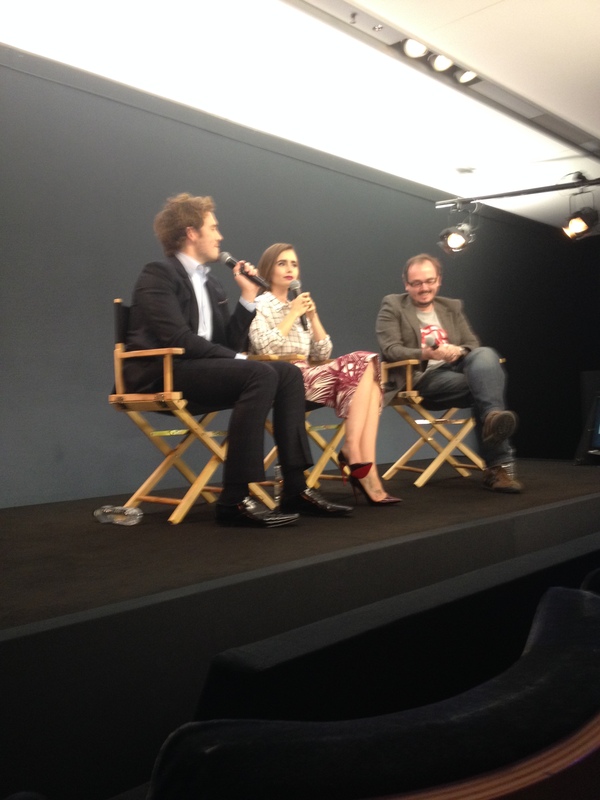 Lily and Sam were doing a Q+A at the Apple Store in Regent Street, which we all reserved for. The fellow fans we were talking to were so lovely omg like nice fans are hard to find, in my experience at least, AND we were all on the front row together and that was hella cool! 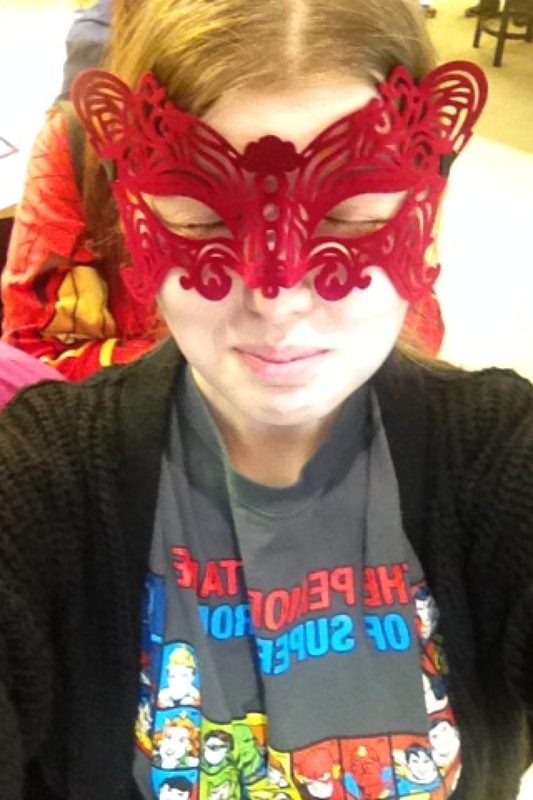 We also got Lily a gift because Sam was getting a few gifts at the signing, we didn’t want her to feel left out :’) so we got her a mask because she’s always uploading pictures on Instagram of her wearing those kinds of masks. Mask – 7.99 H&M – similar one here! Then the Q+A happened and my questions kept getting asked by other people :’) Lily has the gift though! We gave it to her after the Q+A had finished! 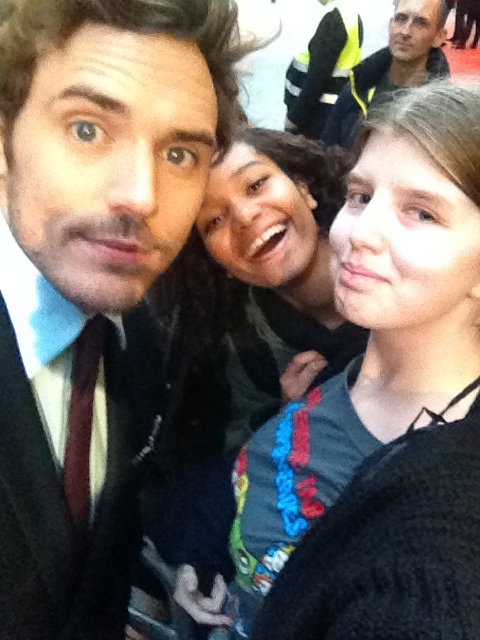 Sam Claflin, Bliss and I! The security guard PULLS OUT TICKETS TO SEE THE FILM INSIDE AND GIVES THEM TO US. THE CAST WERE IN THERE WATCHING THE FILM WITH US. Previous Previous post: Young Adult Literature Weekender overview + book haul! 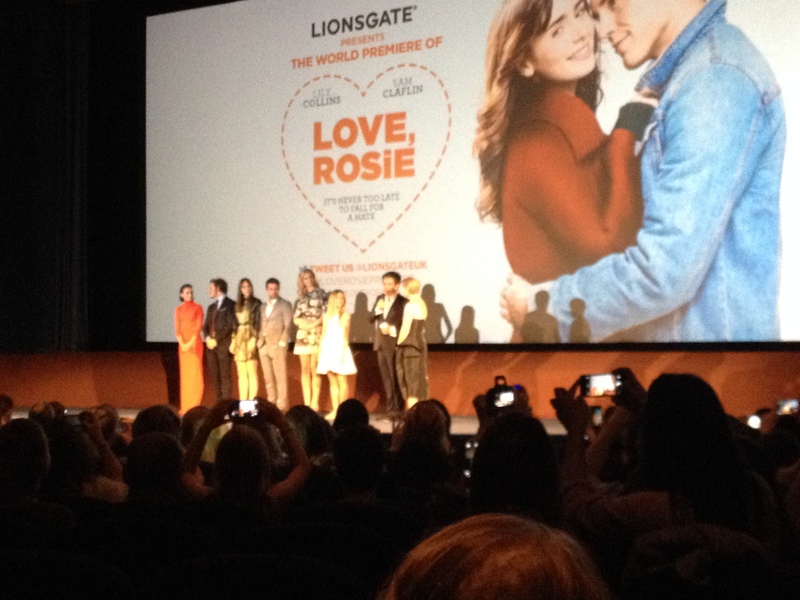 Next Next post: Love, Rosie: Part 2. The Review.